dense, which means that it is notably higher in vitamins, minerals, phytonutrients, antioxidants, essential fatty acids, enzymes, amino acids and perhaps fibre. It makes sense when you think about it. 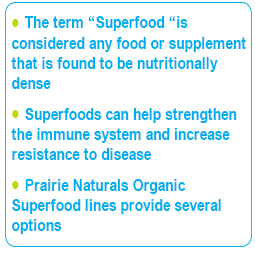 It is “super” good for you because you are getting a reliable source of nutrients in one supplement or food. Natural health also considers a “superfood” to have a range of health benefits rather than just one or two specific benefits. The antioxidants they contain can help protect your cells from free radical damage, which can lead to a host of age-related illnesses. Superfoods can help strengthen the immune system and increase resistance to disease. 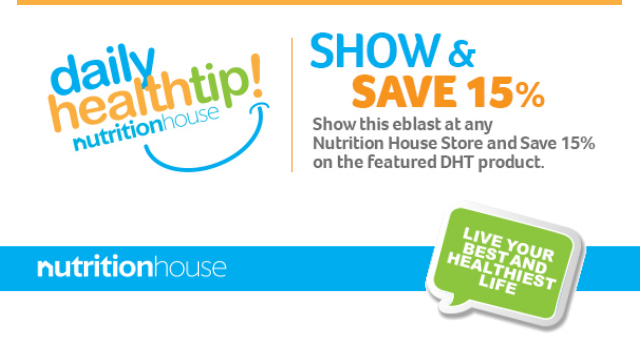 They provide energy, help improve metabolism and can protect the heart. They are also beneficial to good gut health. The upside to the marketing hype around the coined phrase “superfoods” is the awareness that it brings to consumers, leading them to source foods that are more nutritious such as quinoa, chia, kale, turmeric, matcha, blueberries, etc. Why consider a nutritionally dense superfood? 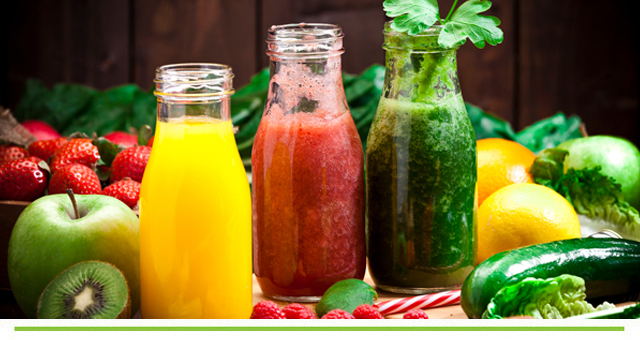 Your body cannot possibly get all the nutrients it needs from one food or in one meal, and consumption and cost of trying to get all these nutritious foods into your every day is difficult to obtain and maintain. To achieve the same health benefits that you find in a superfood type supplement, a person would need to consume a variety of nutrient-rich foods throughout the day, every day. The advantage of taking a superfood is that, since they contain more nutrients per gram, you get more nutrients than you would eating other foods. So, we understand that superfoods are good for us but there are so many to choose from, so try to keep them in a couple of different categories. Single ingredient superfoods, green superfoods, and fruits, nuts and grains. Prairie Naturals Organic Superfood product lines provide several options. Prairie Naturals Organic Spirulina Powder, tabs or capsules, is one of the most ancient green foods on the earth (no kidding). Spirulina is a form of algae that has a 60% protein content and contains minerals, including iron, calcium, and magnesium and a high level of Vegan-sourced Vitamin B12. 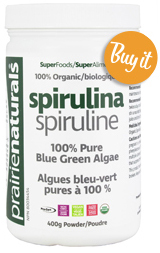 Spirulina also contains all the essential amino acids and essential fats, along with complex carbohydrates, fibre, and a wide range of vitamins and minerals including antioxidants, carotenoids (especially lutein) and nucleic acids. Researchers have found that Spirulina intake reduces blood cholesterol and inflammation. Regular supplementation with Spirulina also removes accumulated toxins in the body, creating a gentle and safe daily cleansing effect. Prairie Naturals Organic Fermented Wheat Grass is an alkaline-balancing, nutrient-dense, green superfood with energizing, cleansing, mineralizing and anti-ageing properties. Prairie Naturals Organic Moringa Leaf is another nutrient-dense superfood that contains many vitamins and minerals. Moringa also contains protein and iron, vitamin C, Quercetin and other powerful antioxidants. Prairie Naturals Organic Reds is a tasty superfood blend of beets and berries. It is made with Beet Roots, Pomegranates, Goji Berries, Grapeseed, Carrots, Blueberries, Strawberries, Raspberries and Cranberries. Challenge yourself to find more superfoods and ways to incorporate them into your daily regime.